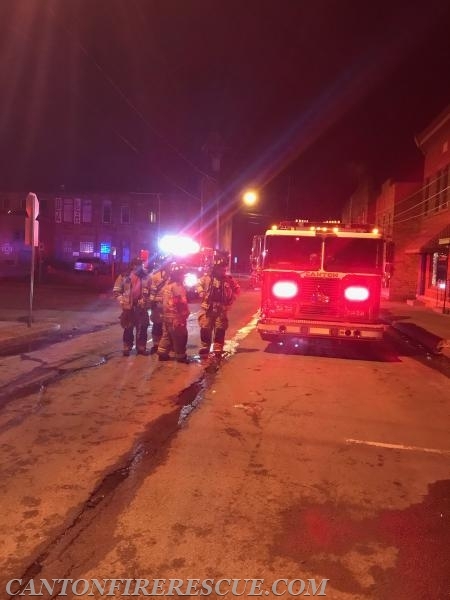 Canton Fire and Rescue tones dropped at 0207 hours on April 22nd for a possible structure fire at the Tick Tock bar on Hodskin Street in the village. Chief Brian McCluskey was enroute within minutes. Further information from Police officers on scene advised that there was smoke coming from the eaves and that it was the building next door to the Tick Tock, the former Barbour's building. Chief McCluskey arrived on scene and and advised Engine 7 that there was a fire in the building with smoke showing. Chief McCluskey requested mutual aid from Potsdam Fire with Tower 5 and manpower along with manpower from Morley, Pyrites, and Rennselaer Falls Fire. Engine 7 was enroute at 0214 and was on scen one minute later. After laying in from a hydrant on Main Street, the crew stretched hose lines and entered the building. 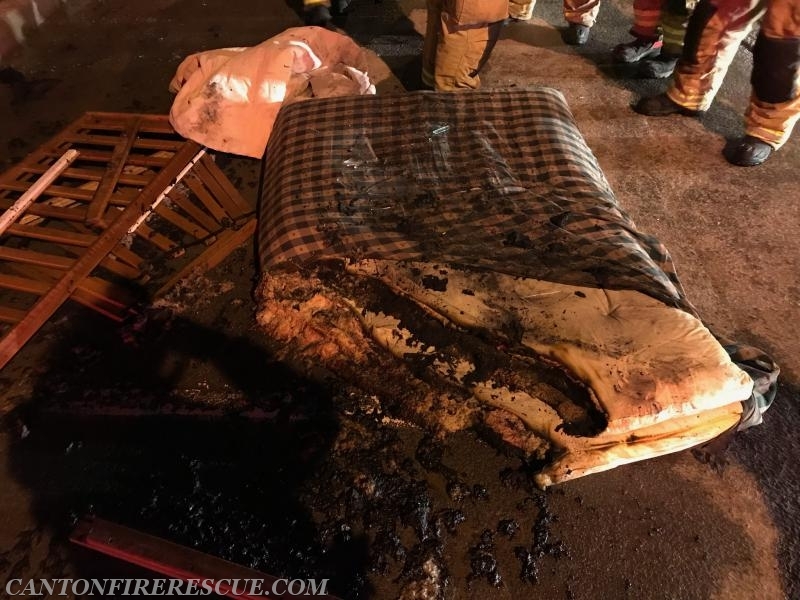 It was discovered that a mattress was burning in a second floor apartment. 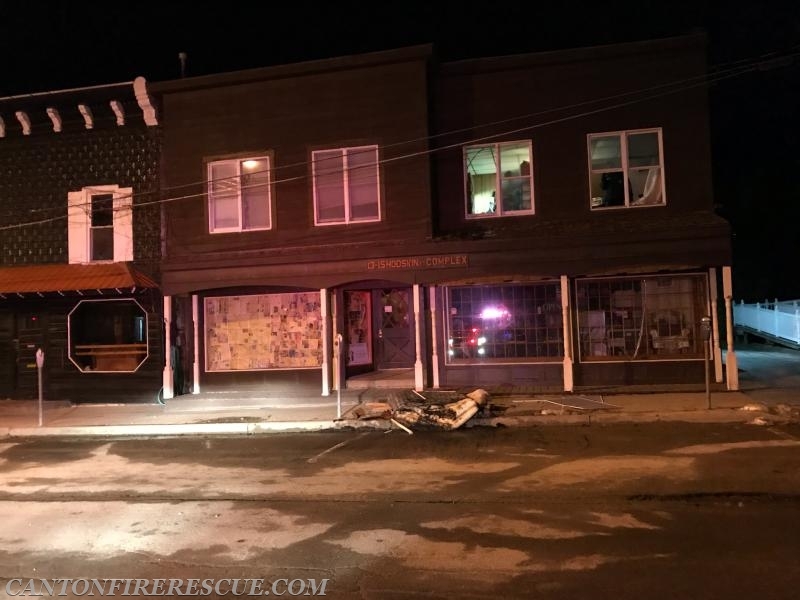 The mattress was extinguished and removed to the street, ventilation was performed and a complete primary and secondary search determined that all occupants were out of the building. 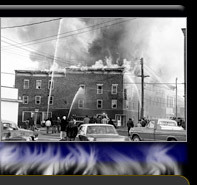 Chief McCluskey held all requested mutual aid units in quarters. 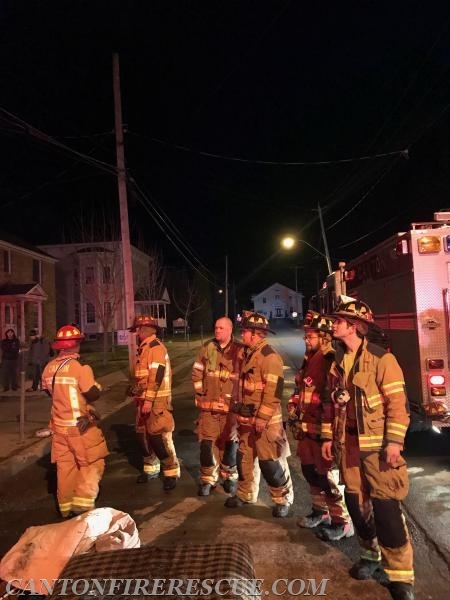 There were no injuries and the cause of the fire remains under investigation by the St. Lawrence County Fire investigation Team and the Canton Village Police Department. Twenty three members responded and all Canton units were back in service at 0639 hours.